Although a deductible usually applies, these forms of coverage can help protect you from having to repair or replace an expensive vehicle out of your own pocket. Collision insurance helps pay for damage to your vehicle resulting from an auto accident with another car or a stationary object such as a tree or guardrail. It covers your vehicle’s repair or replacement costs, up to its actual cash value (less deductible) — not the original price you paid. If another driver was at fault in the accident, the damage to your car may be covered by the other driver’s liability coverage. But if there is no fault, or if you are deemed to be partially or fully at fault in the accident, the damage to your vehicle would be covered by your own collision insurance, minus the deductible, up to policy limits. Collision premiums typically depend on a variety of factors such as the age and model of the car, the age and driving record of the driver, the annual mileage, and the area where you live. Generally, coverage is more expensive for newer, more expensive vehicles. Younger, less experienced drivers, or drivers of any age with a poor driving record, might expect to pay more for comparable collision coverage than experienced drivers with a good driving record. People who drive more miles may pay more than those who drive less, and city drivers may pay more than those who drive on relatively untraveled roads in rural areas. A higher deductible will typically reduce your premium. Comprehensive insurance helps pay for theft and damage resulting from incidents other than a collision. You might be surprised to learn about the many types of hazards that are typically covered, up to policy limits, minus the deductible. Theft, vandalism, and riots. About 773,000 motor vehicles were stolen in the United States in 2017, with an average loss per theft of $7,708.3 Comprehensive insurance not only covers the replacement value of a stolen car, but also reimburses for damage, including any necessary body work and the replacement of stolen parts to your car resulting from theft or vandalism. Fire and explosions. Many vehicle fires result from crashes, but some are caused by electrical problems or other defects. Either way, car owners with comprehensive insurance are covered. Natural disasters. Vehicle damage caused by hurricanes, tornadoes, volcanic eruptions, earthquakes, and floods is covered. Falling or flying objects. Heavy trees or limbs could cause significant damage to your car. Fortunately, comprehensive coverage extends to just about anything that might fall from the sky, including baseballs, golf balls, hail, and drones — even meteorites and other debris from space. Animals. Damage caused by hitting a deer, bear, moose, steer, large bird, or any other animal with your car typically would not be covered by the collision portion of your automobile insurance. Rather, it would be covered under the comprehensive portion. Damage caused by pests such as squirrels and rats may also be covered. Broken windows or windshields. Replacing a broken windshield or other auto glass is generally covered under the comprehensive portion of your auto insurance. The cost of full windshield replacement varies, but if you have a deductible of $500 or more, it might not be worthwhile to file a claim. However, your insurance company may offer full glass coverage without a deductible for a low additional premium. Comprehensive premiums typically depend on the current value of the vehicle and the level of risk it is most often exposed to, which means you will pay more if you live in an area where claims are prevalent. Generally, urban areas pose a higher risk than rural areas, but there is wide variation among cities. As with collision insurance, a higher deductible should lower your comprehensive premium. Both collision insurance and comprehensive insurance reimburse for covered losses based on the depreciated value of the vehicle. In some cases, you may owe more on the vehicle than the depreciated value. This might occur when you made less than a 20% down payment, financed a loan for 60 months or longer, leased a vehicle, or purchased a vehicle that depreciates faster than average. If any of these fit your situation, you might consider purchasing gap insurance to cover the difference between the value of the vehicle and the amount you owe on it. Although a car dealership may offer this type of insurance at the time you purchase or lease the vehicle, the premium is typically more reasonable when purchased through your insurance company. 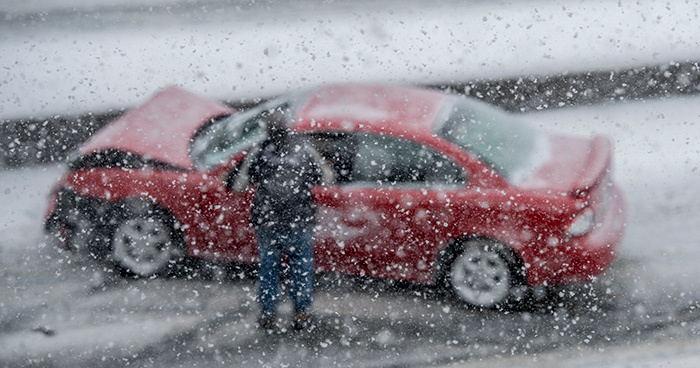 Because collision coverage and comprehensive coverage are optional, some consumers — especially those with older vehicles — might choose to omit them from their policies in order to reduce premiums. Keep in mind that even if your car’s “book value” is low, it may be more expensive to replace than you realize.